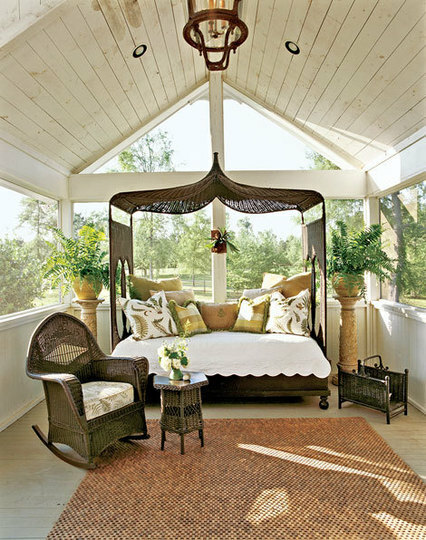 When I think of sleeping porches: I think of napping on a hot day, lemonade, and family. I love summer (as most of you know) because time stands still for a little while. I think back to my childhood when I would sit under a tree to get out of the hot and humid Washington DC temperatures. I also used to walk from my house the three blocks to the National Cathedral. The cool stone walls created an oasis from the heat, I spent hours in this peaceful spot. When we were not in the city we were at our farm (we called The Barn) in Virginia. We had no TV at the barn, our activities ranged from weeding the massive vegetable garden (it seemed massive it was probably not as big as I remember) to drawing still life portraits. WHAT YOU DID NOT DO THAT AS A KID? My husband (who is from Maine) thought it was so funny, the way I grew up…”Washingtonians do not country well” he says! 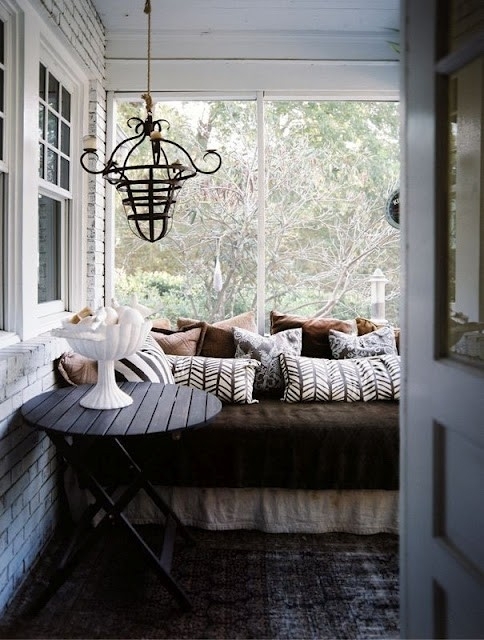 In any case to me summer is easy living and sleeping porches are a wonderful throw back to a simpler time! 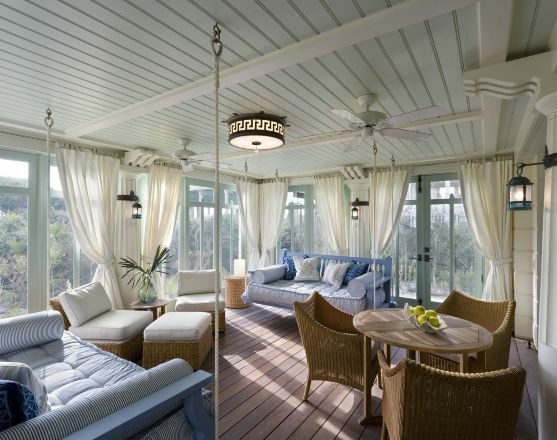 Look at this wonderful sleeping porch from Pinterest! If you like this post click the follow button and never miss a post! 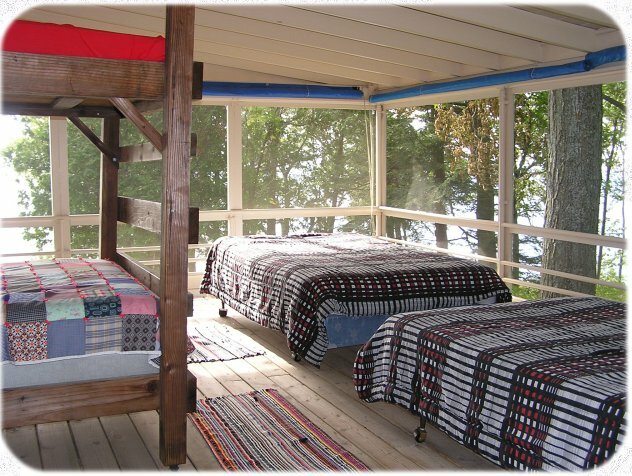 Someday I will have a sleeping porch. I think I’d sleep on it as soon as the spring peepers came out.